Fernando (Ferlo) Lourenco is a Portuguese-born musician-singer-songwriter who has been creating his unique, eclectic brand of music for over two decades. Coming of age in the 1980’s, Ferlo was captivated by the British Synth-Pop movement. The industrial electronic bands like Human League, Ultravox and Depeche Mode helped form his early musical styling. The sharp electronic beats and rhythmic pulse of their sounds captivated him. A move to Canada in the late 80’s broadened his auditory tastes. There he discovered artists like Leonard Cohen, Neil Young and Joni Mitchell. The introduction of the North American Acoustic and Folk genre was truly the origin story of Ferlo’s unique blended style. At the age of thirteen he picked up a guitar for the first time and penned the first of his hundreds of songs. A self-taught prodigy, Ferlo learned to play, compose, layer, and produce music on his own. As he musically matured through his teens and into his twenties, Ferlo’s vocal influences, artists like Davis Gahan the front-man of Depeche Mode, and the emotional and melancholy lyrics of Jeff Buckley helped mold his sound. In March of 2015 Ferlo released his debut album, “Out of Place”. This album will be his calling card for years to come. He has infused his years of training and varied personal styles to create a musical experience that is at once haunting and mysterious, and excitingly energetic. The twelve handcrafted tracks that Ferlo has poured his soul into, subtly jump between genres. He takes the listener on a tour of his influences with an inspired mix of melodic synth-driven electronica, and “stool-and-a-microphone” guitar driven folk storytelling. It is masterful debut from a talented artist who has hit the ground running and shows no sign of slowing down. 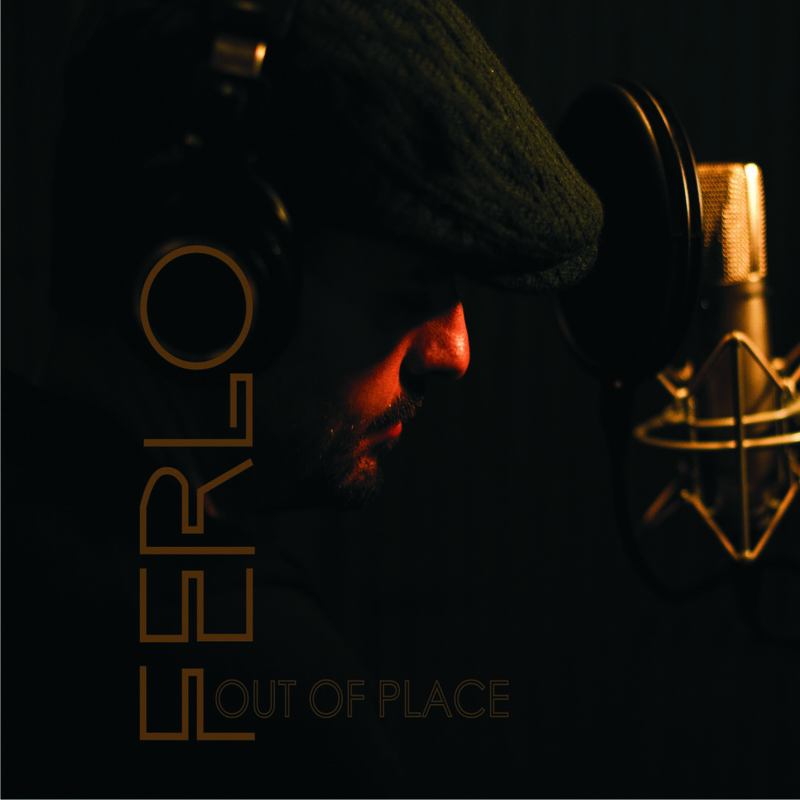 With the release of his full length album "Out Of Place", Ferlo brings a new feel to a diverse set of genres by combining electronic and natural instrumentation together and creating an aesthetic of an almost 90's pop influenced era of music. The album reaches from alternative pop to acoustic ballads and all without losing the emotional platform great songs are built from. The first single "Our Nature" is an electro pop song lush with rhythmic synths, catchy instrumental hooks, and deep powerful vocals. The track builds and breathes as it plays on and turns into its an anthem all its own. "Our Nature" is a metaphor for the egocentric human condition. The theme reflects our need for power over each other and over our planet, without any concern for the damage we are causing." explains songwriter Fernando Lourenco of his single. Although the single speaks volumes for the album, to get an understanding of where Ferlo is coming from, it should be listened to in it's entirety. Songs may be diverse but there is a glue that holds this record together all in all. There is a theme of human condition and emotion laced through out the set of songs. "At the beginning I had a method for composing songs, this rapidly changed with evolution of my state of mind and mood alignments, that subsequently shifted my life into new experiences and broadened my horizons in terms of my musicality. Songs that started as raw ear candy melodies transformed into cyclonic mood progressions with a darker feel. For some reason my main obsession while composing is the frequent changes within a formal (by the book) chord progression." says Ferlo of his evolution of his songwriting process. Ferlo started playing music in general at a very young age beginning with his passion for guitar, then gradually moving into synthesizers and music production. Influenced by British Synth based electronic bands, as well as becoming enveloped in the North American Folk movement, Ferlo started molding the genres together and eventually created what his sound is today. After a successful record release show at the Mercury Room in Edmonton, Ferlo is now planning a small tour around Alberta this year. The "Out Of Place" album is available on most digital outlets for download now and the songwriter is always writing new material.